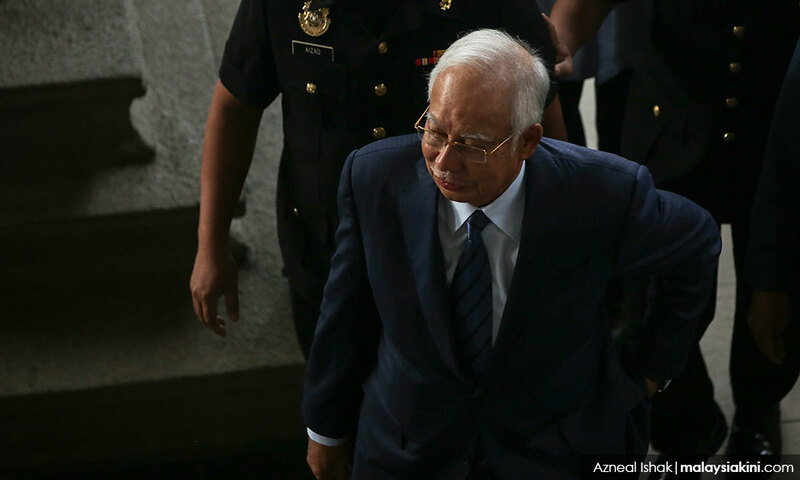 The prosecution withdrew three additional charges against former prime minister Najib Abdul Razak in relation to the SRC International case. However, sources close to Najib later revealed that he was served a warrant to be slapped with the charges again today. Najib is also appealing the decision of the High Court to continue with the trial scheduled to begin next Tuesday on seven other charges related to SRC International. Deputy Foreign Minister Marzuki Yahya was chastised by the likes of Umno acting president Mohamad Hasan and Perlis mufti Mohd Asri Zainul Abidin over his allegedly fake degree. Bersatu deputy president Mukhriz Mahathir defended Marzuki, saying the latter was not appointed as a deputy minister for his academic credentials. However, Bersatu strategist Rais Hussin said Marzuki should apologise if he had misrepresented himself. Umno acting president Mohamad Hasan claimed MCA and MIC had been avoiding holding a BN meeting to evade questions from the press about a resolution to dissolve the coalition. The Malaysian government is eyeing proceeds from the multi-million dollar sale of a stake in the Park Lane Hotel in New York, involving the US Department of Justice, to an Abu Dhabi sovereign wealth fund. Prime Minister Dr Mahathir Mohamad will speak at the National Unity Day celebration in Penang.